So I think Tyler Florence is my male equivalent to Queen Ina, sorry Jeffrey. 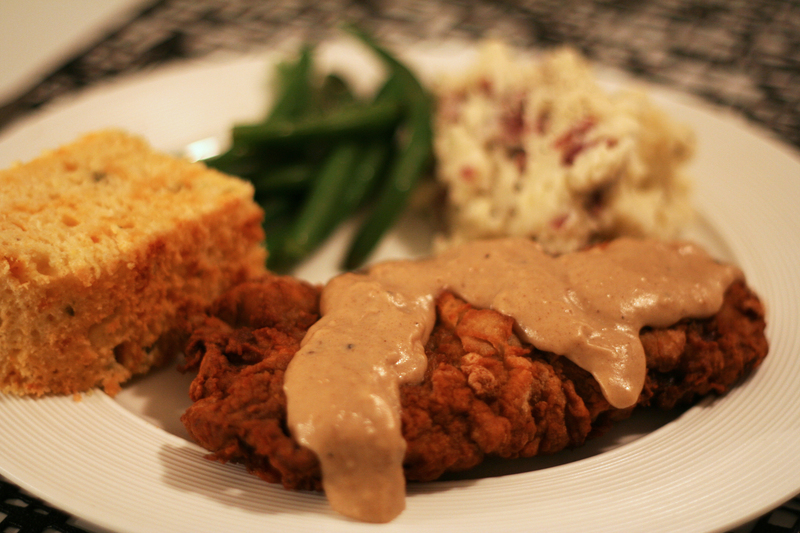 We’ve made a ton of his recipes lately and they are all killer and this recipe is no exception. We didn’t tweak a single thing. It’s fried, it’s steak, and Dave and I didn’t say a single word to each other as we devoured it at the dinner table, that’s all you need to know. Make this! 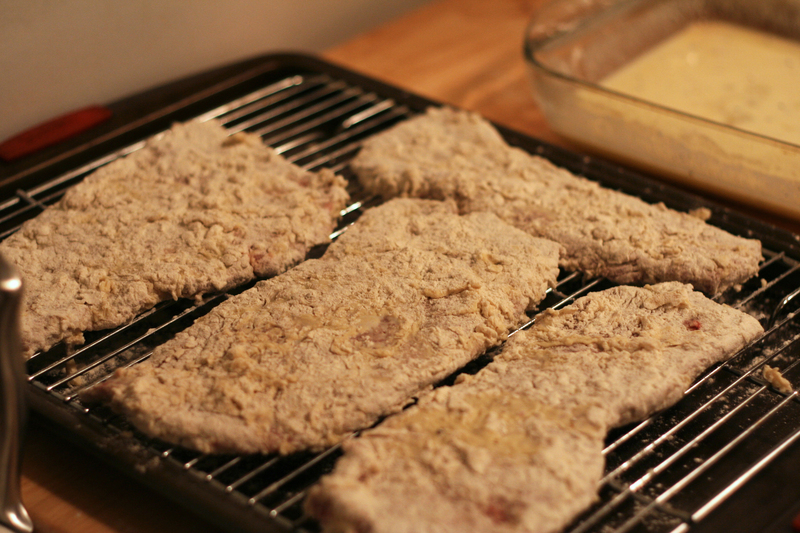 In a medium flat dish add the flour, garlic powder, onion powder, kosher salt and pepper, to taste, and combine well. In another flat dish stir together the eggs, buttermilk and hot sauce, to taste, and season well with salt and pepper, to taste. Cut beef into 4 (1/2-inch) thick slices then pound out using the teeth side of a meat mallet. This tenderizes the meat. 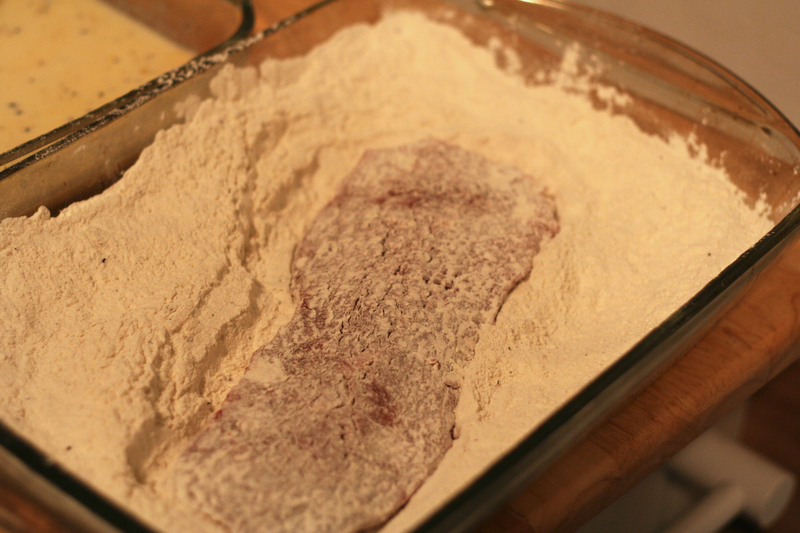 Dredge each piece of meat in the seasoned flour, then in the seasoned buttermilk and back into the flour, allowing excess to drip off. 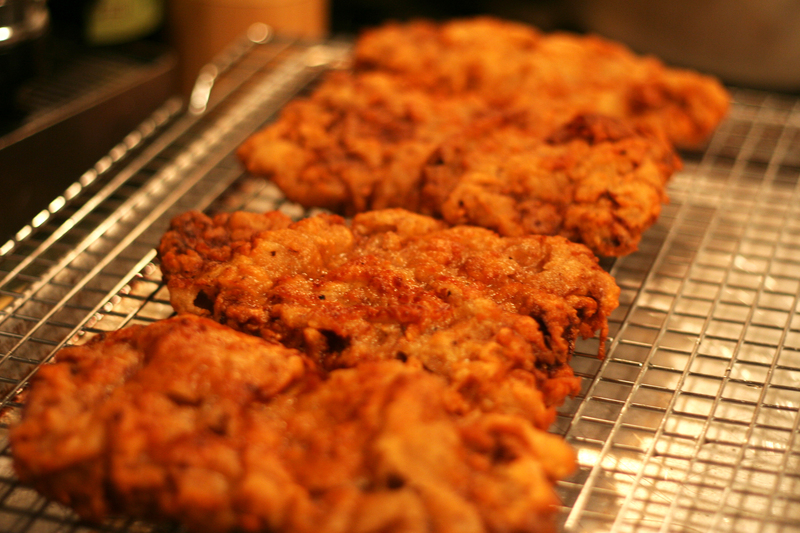 Set out on a rack fitted over a baking sheet and allow to rest in the refrigerator for 20 to 25 minutes before cooking. 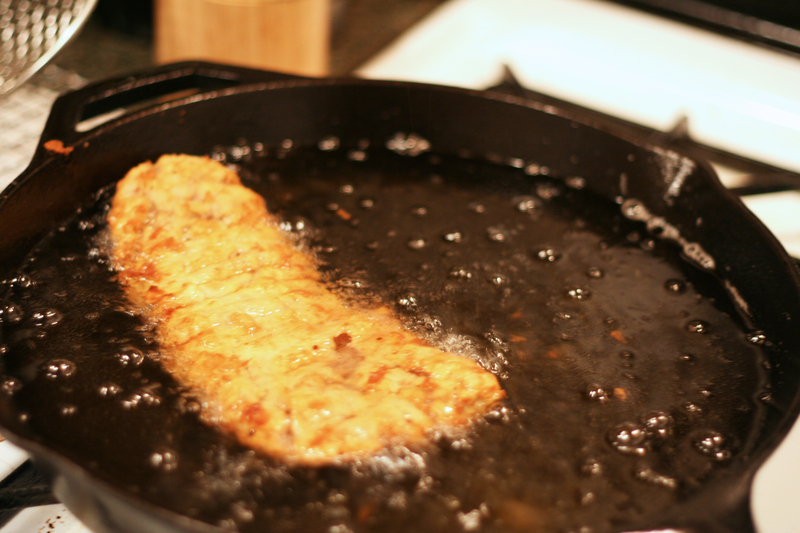 Add about 2 inches vegetable oil to a large cast iron pan and heat over medium-high heat to 365 degrees F. Once heated and working in batches, fry steaks 2 to 3 at a time until golden brown, about 3 to 4 minutes per side. Remove steaks and drain on a paper towels. 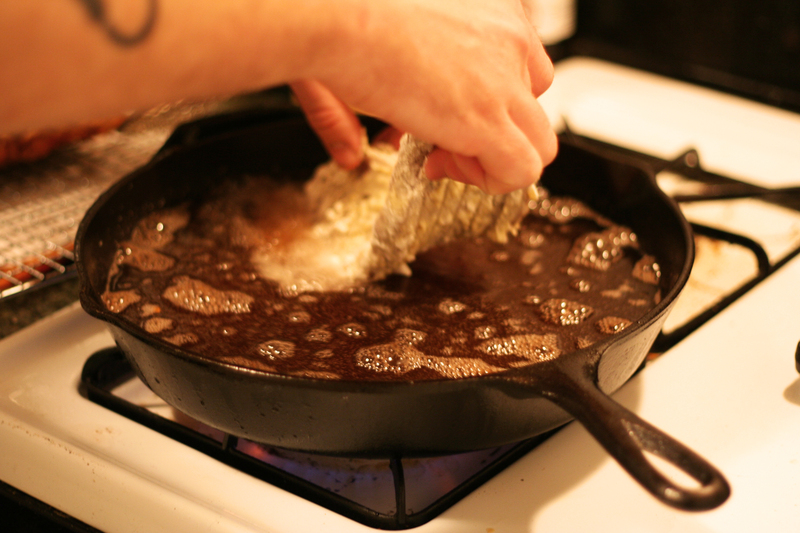 Carefully remove some the fat from the cast iron pan, reserving 1/4 cup. 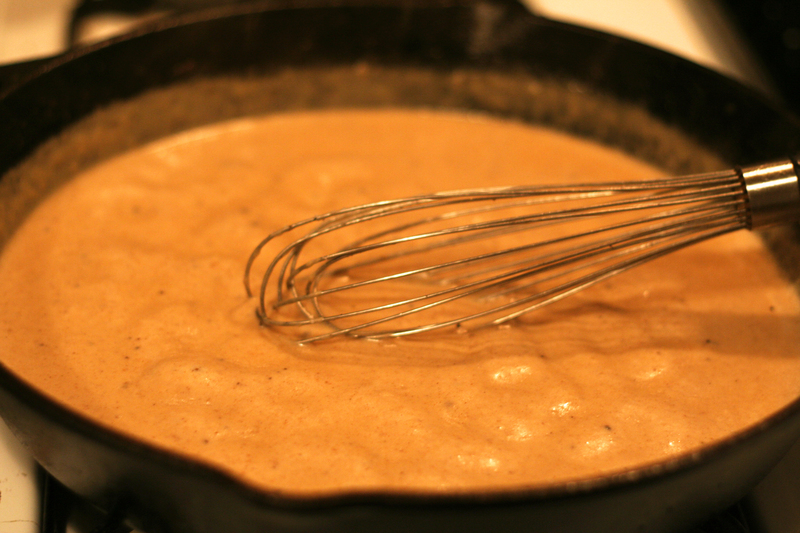 With the pan over medium heat, sprinkle in 3 tablespoons of flour and whisk to make a roux, scraping up any brown bits on the bottom of the pan. Once the flour has been fully incorporated slowly add the buttermilk and milk and continue to whisk until the gravy is nice and thick. Season well with salt and plenty of ground black pepper, then whisk in hot sauce, to taste. 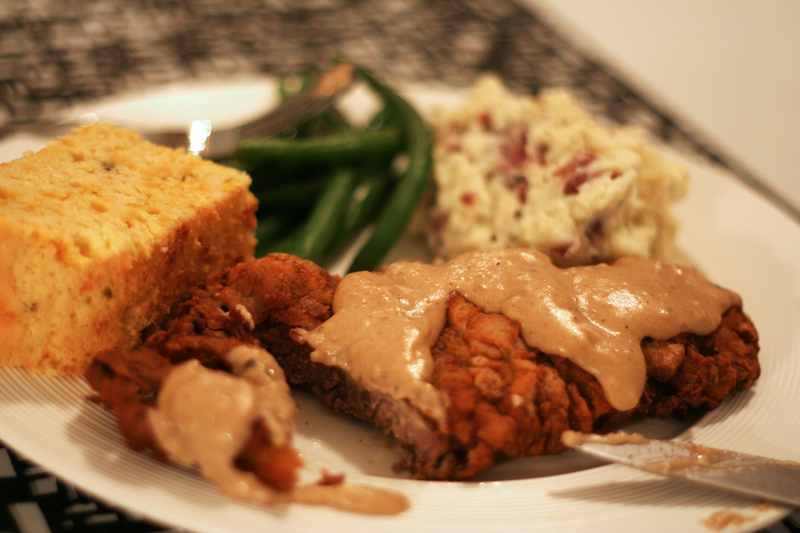 Place the steaks on a serving platter, top with gravy and serve. Original mouthwatering recipe here.